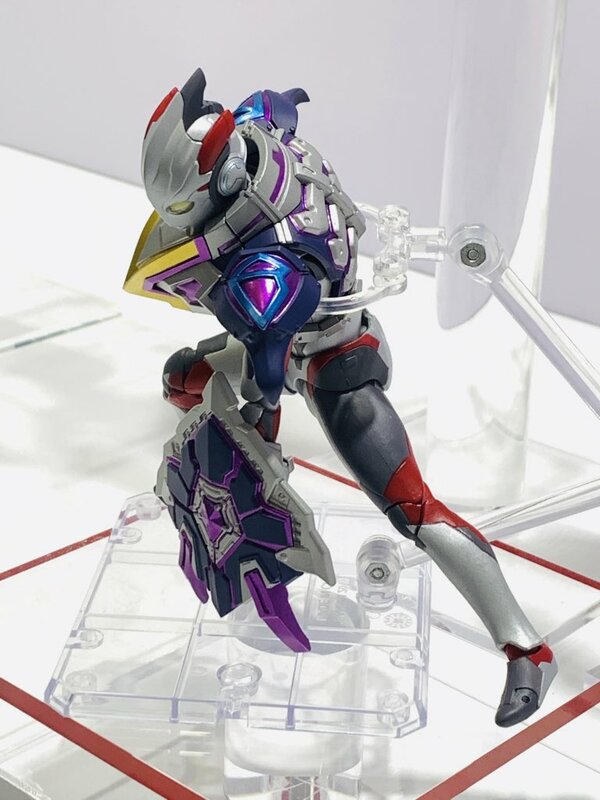 The next reveal from Ultra Heroes Tamashii is here - it's Ultraman X in his Cyber Bemstar MonsArmor! 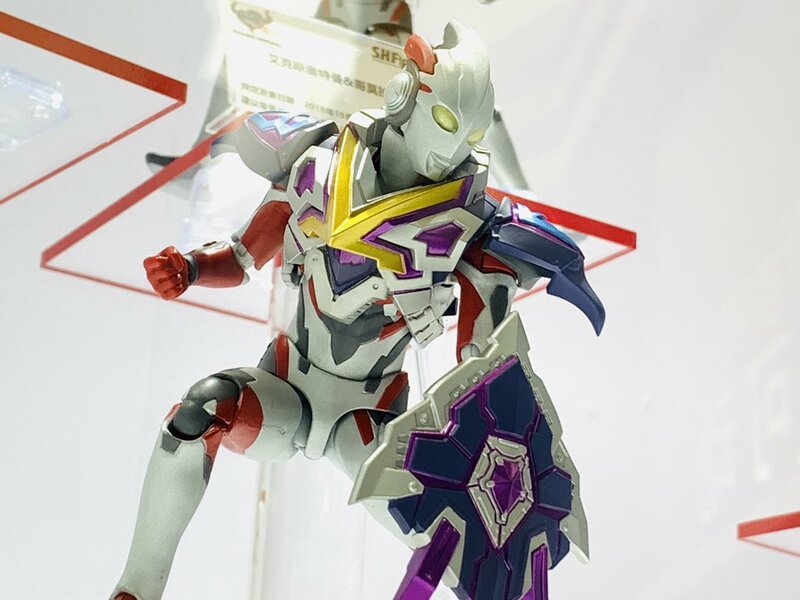 Seems like a MonsArmor set for Ultraman X is becoming a reality - I can see them selling this and the rumored Eleking armor as a two-pack. Never in my life have I thought about buying new t-shirts for my Ultraman figures. This truly is the future. Huh. A link. I wonder where that leads. That's cool. 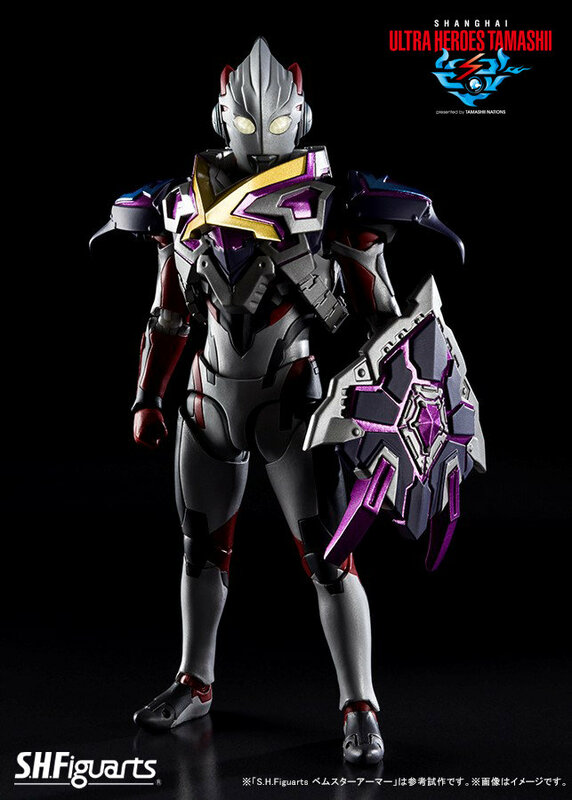 I doubt I'd buy it if the price of the Ultimate Aegis armour is anything to go by though. 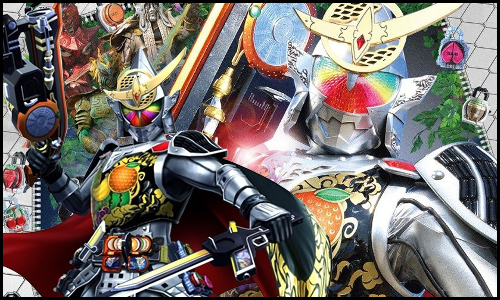 m a little surprised they're doing armor set for X. I figured the Gomora armor would have been it. I'm happy they're doing it, but I'm not going to be surprised if it's a web exclusive to be honest. 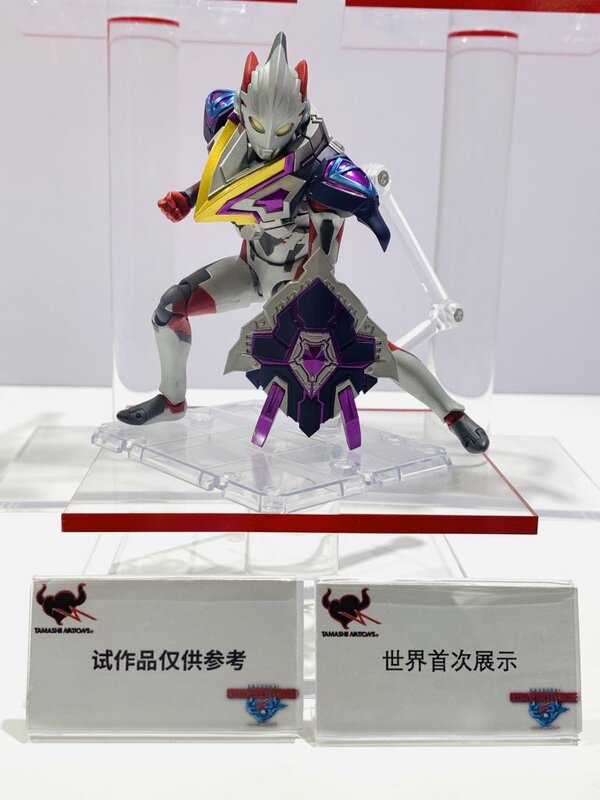 Probably the last reveal from the Ultra Heroes Tamashii event, we've got two alternate forms of Ultraman Zero. 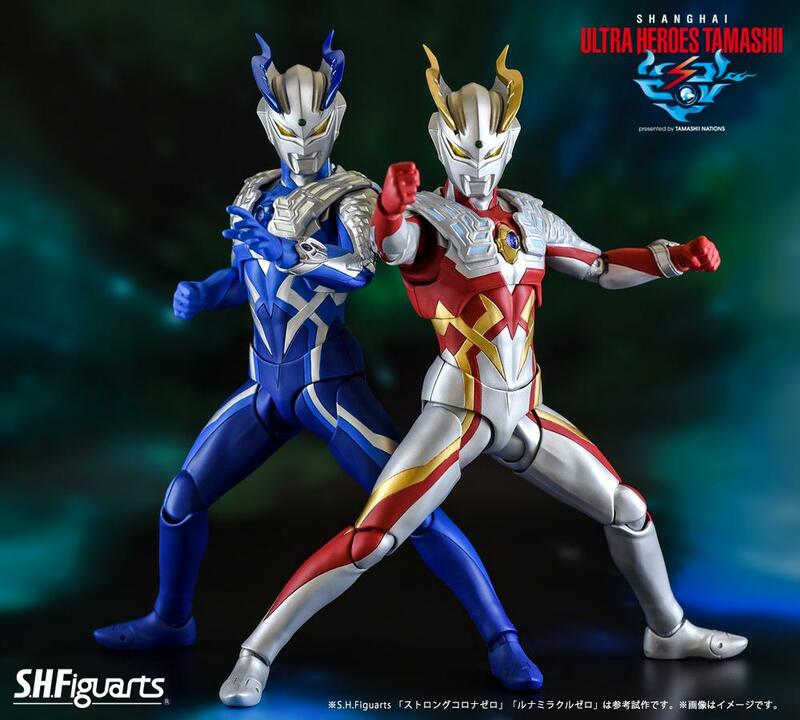 The fiery red combination of Ultraman Cosmos' Corona mode and Ultraman Dyna's Strong type, Strong-Corona, as well as the cold blue connection of Cosmos Luna and Dyna Miracle, Luna-Miracle. Both without a release date and no word on if they'll be separate releases or a two-pack. 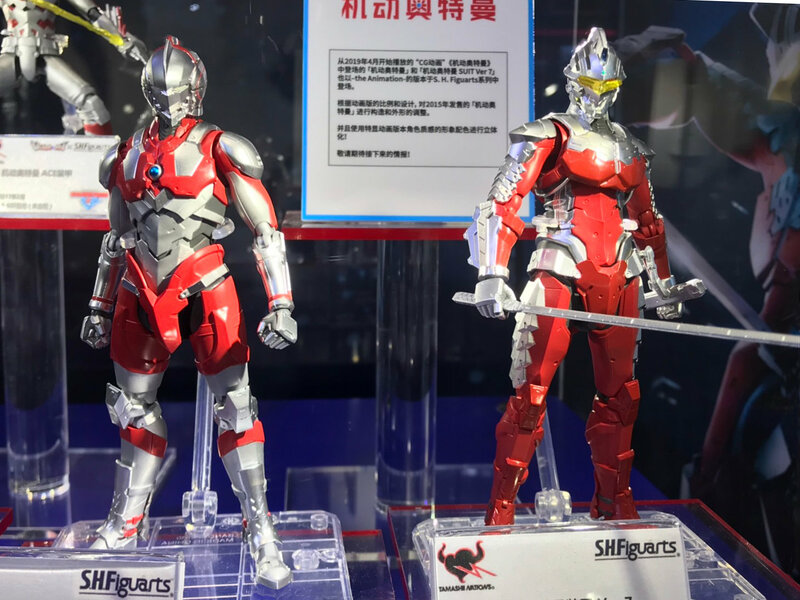 Also featured in the Tamashii blog post showcasing them are the Ultraman Netflix Animation Figuarts, who we are promised to get further information on very soon. Which makes me think April pre-orders to go along with the start of the Netflix show on April 1st. I hope these two aren't the last announcements from the event. Pretty lackluster reveals honestly. 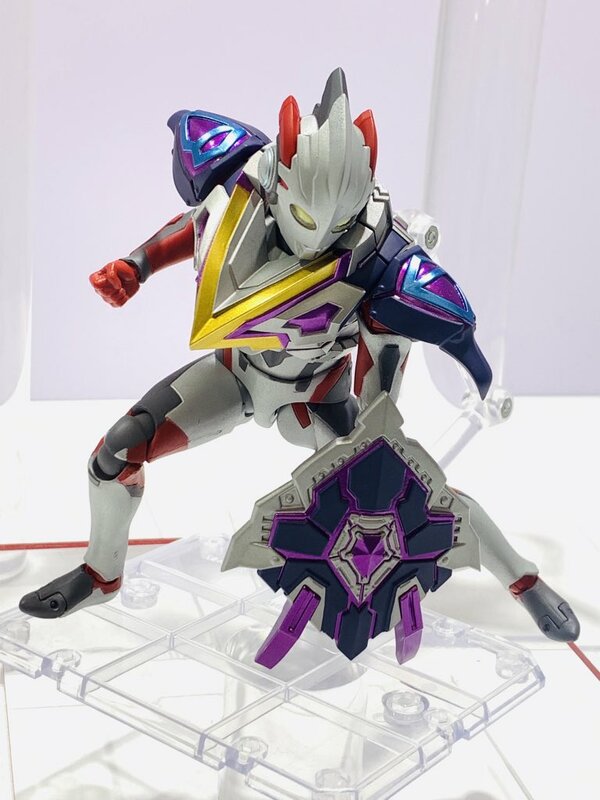 Geed Magnificent is cool, Bemstar armor is neat, but two Zero repaints? Meh. I was hoping for a bit more exciting things than that.